This blog and portfolio does not purport to express in any way the opinions of any associated entitites. One of my friends, who is also in the philosophy class I help teach, emailed me several weeks ago asking why God loves us? It’s a great question. In light of our sin and the darkness within us why would a perfectly moral and holy being love us? I responded to her question and I thought I’d share it online here. So, to jump to the end and give you my answer up front: I have no idea why God loves us. This is one of those things that you can surely put the puzzle pieces together to say that God is just and that God is loving. Any philosophy of religion text or systematic theology can articulate the theological coherence of these things. The hardest thing about this is that, like you, I still don’t get it. It’s certainly not a simple answer in my opinion. I’m an existentialist at heart. I think we find ourselves on the scene thrusted into existence without any ability to say otherwise. How Does God Provide Meaning and Purpose? Man is alienated from himself, from other persons, and from God, and as a result man has been burdened with absurdity. Absurdity ought to be understood in a dichotomous manner. Absurdity is experienced subjectively, such that the individual experiences it in an autonomous manner. The objective absurdity is the metanarratives of life. This would include a lack of ultimate meaning, incentive, value, and purpose. Overcoming this alienation and the notion of absurdity, primarily objective absurdity, can only be done so by a divine telos. It does seem that man lives his life as if he does have an ultimate meaning, incentive, value, and purpose. However, if God does not exist, then the absurdity is not only subjective but it really is objectively absurd. The existence of a divine telos enables man to live a consistent life of meaning, incentive, value, and purpose. 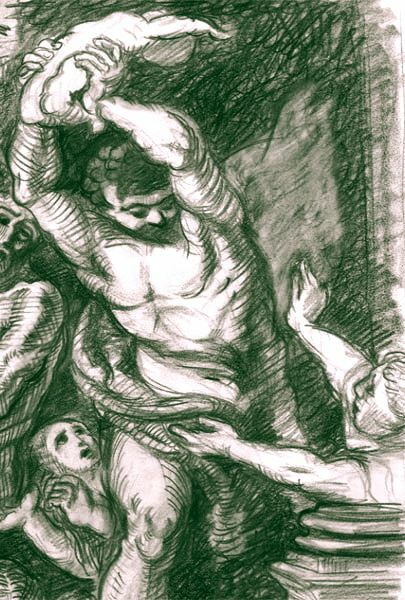 There is a reconciliation of man to himself, others, and God by overcoming this absurdity. Man exists in a state of alienation. He is alienated from himself, from others, and from God. Alienation from the self creates a subjective absurdity (this will be explicated later). Because of his own nature man cannot stand in agreeable terms with himself. His epistemic warrant is not always at ease. He doubts. He questions and is lacks sufficiency in his capacity to function in an ideal manner. His alienation from others is subjective and experienced by the individual as well. It too is a result of man’s nature and state of being. It is at this level of alienation where man often attempts to create his own teleology. He will construct an artificial and arbitrary teleology based on other alienated persons. Man’s alienation from God is irreconcilable by man’s initiative. Man cannot act outside of his closed system; thus, he requires an outside agency to overcome this alienation. I certainly believe Christianity is falsifiable, that is, to be proven false. I think there is biblical warrant for this. Consider 1 Corinthians 15.17 when Paul says that if Christ had not risen from the dead then our faith is in vain. To show Christianity is false one must demonstrate that the resurrection of Jesus did not happen. I was speaking with my professor over lunch a month or so back and we struck up a conversation on what it would take for us to be atheists. Proving the resurrection false doesn’t disprove God, it just disproves Christianity. The two divisions of absurdity, subjective and objective, by all evidence, binding. If God does not exist then man lives in Bertrand Russell’s world of scaffolding despair. Man is merely the product of pointless cause and effects with no prevision of the ends being achieved. All the labors of the age, devotion, all the inspiration, all the noonday brightness of human genius, are destined to extinction in the vase death of the solar system. Man’s achievements are destined to be buried in the debris of the universe. Only within the scaffolding of these [teleological] truths, only on the firm foundation of unyielding despair, can the soul’s habitation henceforth be safely built. If there is no God to provide meaning, value, and purpose, the only consistent option for humanity is suicide. Any becoming of life-affirming or life-denying acts are illusory. Absolutely nothing can be a positive or negative act for the individual since there is nothing to determine a differentiation. One is forced to face Nietzsche’s abyss and face the reality that no rope can scale the depth of nothingness. One is only left with despair, guilt, and angst. If guilt, and angst are not subjectively preferred then the only option is to eliminate such emotions and thoughts. If there is no God, the only remedy for absurdity is to participate in Nietzsche’s abyss of nothingness: suicide. I wanted to write to you with my best intentions of preparing you for the life to come. I have so much to tell you and so much to prepare you for. Don’t worry; I’m not ruining any surprises. It’s like when you read the ingredients of your favorite dinner on the menu of your favorite restaurant. You know what’s coming but knowing just that never seems to ruin the experience, does it? You still experience the joy of the meal. It’s a bit like that my friend. This letter will only foretell you of things to come. My purpose in writing you is to make sure you understand what it means to experience life. I’ll cut straight to the core issue–your life is going to be good and I have nothing but good news for you. Despite what you’re about to read it’s all beautiful. Your life is going to change. Okay, before I continue I know what you’re wondering and yes, you will get married. You’re going to meet this beautiful girl in college. She’s going to distract you from everything. You’ll have a romantic tunnel vision. Everything else is going to blur and you’re going to focus in on her. Her smile is going to capture you. Her eyes are going to melt you. You’ll learn to love. This is the love that can never be adequately expressed in words. Actions and experience is the only sufficient way of knowing this love… a love that helps you understand God. This brings me to my next point. Sooner or later you’re going to become a Christian. The thing is, this doesn’t make your life any easier. You’ll go to a university and study philosophy and you’ll learn to love science. Pay attention in school. Please, if this finds you please study physics more before university. It will make things easier for me here! You’ll eventually aim to make a career in academia. I’m a graduate assistant and I assist a professor in teaching, lecturing, and course management. I gave two lectures last week on logic. Granted, it’s not the most exciting lecture either (that’s because they haven’t heard me teach on the multiverse yet!). A student came up to me after classed and asked for help. I got excited because out of a class of 250 only a few have asked for one on one help. This student wanted to know why all of this stuff was needed? Essentially, what good is philosophy and why should anyone study it? I meet with this student on Monday to help with this question. Here’s a few reasons off the top of my head. To know what truth is. To know what knowledge is. To know what science and math is and how other disciplines relate. To know the nature of reality. To know the flow and structure of thought. To know who you are and what it means to be a person. To know ethics, what it means to do right or wrong. To know whether or not God exists. These are just ten broad and general reasons why one ought to study philosophy. I’m more inclined to give more specific answers, which are finely tuned to the situation. I believe that in order for one to answer the question, “Why study philosophy?” one has to deal with it on a case by case basis. “How does this relate to me?” There are certain existential and teleological questions that must be answered. This question cannot be blanketed with a bullet point response. I believe the best answer you can get will be from a period of time when you reflect on introspection and ask questions… Primarily the ultimate WHY? question… For the Christian, I’d encourage you to ask God the deepest and most important question you can think of. You may not realize it, but then you’ll be philosophizing. There are many stereotypes associated with tattoos and the underlying commonality is difference. People with tattoos are generally different in many ways from those who do not have tattoos. I got my first tattoo when I was 19 years old and I’m not sure how many tattoos I have now. I’ve gotten some that have evolved into bigger projects and absorbed by later additions. I wanted to share my philosophy behind why I get tattoos, what they mean, and provide thoughts on what the Bible has to say about tattoos. My tattoos are manifestation of my existential reflections of life. I once heard someone say that you should be able to look at someone’s tattoos and be able to tell most of everything about their life. Tattoos become an outward expression of who I am. I don’t do it for the aesthetic so much as I do it for myself. I don’t find it as hedonistic; rather, I find it to be an artistic expression. Here are my stories. 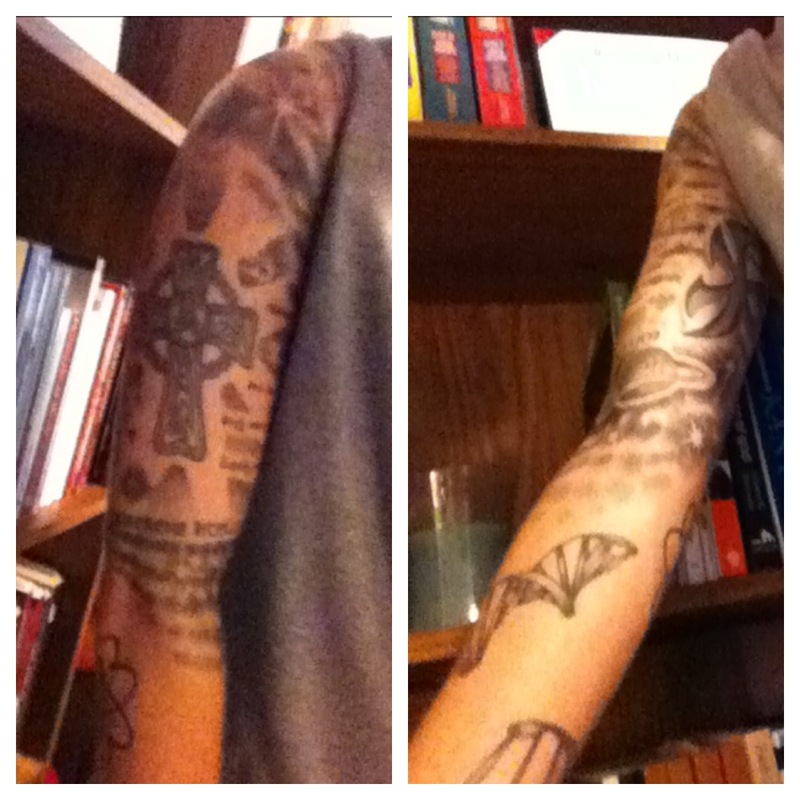 This is my right arm, which is almost complete. I have a little bit of empty space before my sleeve is complete. What these tattoos depict is my place, and humanity’s place, in this universe taken from Psalm 8 (“When I consider the moon and the stars, that you have ordained, what is it that you give thought of the son of man, that you care for him [non-Messianic]). The background is full of stars and planets and it fades in to DNA and a carbon atom. When you imagine the vastness of our universe, how incredibly large it is and then you reflect on humanity, how incredibly tiny we are on this spec of cosmic dust we call earth, you’ll understand our privileged place in this universe. You’ll understand our privileged place in God’s heart. The intricate details God used in designing our existence from the cosmos to the DNA and atoms used to make us up. The pinnacle of creation is the cross and God’s love for us (in Greek around the cross is Mt. 22.37, the greatest commandment). Below the cross reads fides quaerens intellectum, which is Latin for faith seeking understanding. This is my left arm. The Jerusalem Cross, also known as the Crusader’s Cross, has personal meaning to me that I have only told to my wife. So, the meaning behind that one remains a mystery to everyone else. 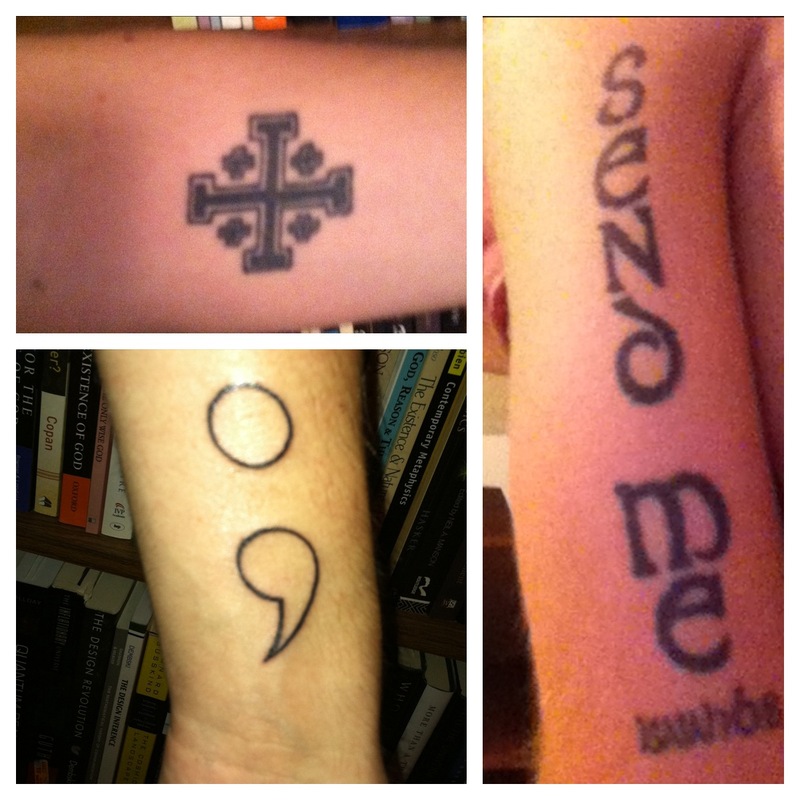 On the back of my left arm I have “Send Me,” which is from Isaiah’s commissioning. It represents my obedience to God’s will for my life. Just like Isaiah, he willingly submitted himself to what it was the God had him to do and he did so by his initiative willingly obedient to what God had for him to do (I’m not speaking theologically as in God shaped his will by Isaiah’s initiative). It’s quite reflective of my testimony and the purpose that God has for me. The semi-colon is my fun/Crohn’s disease tattoo. I recently had a surgery and had 15 cm of my small intestine, my appendix, and a few inches of my colon removed. Hence… I have a semi-colon. 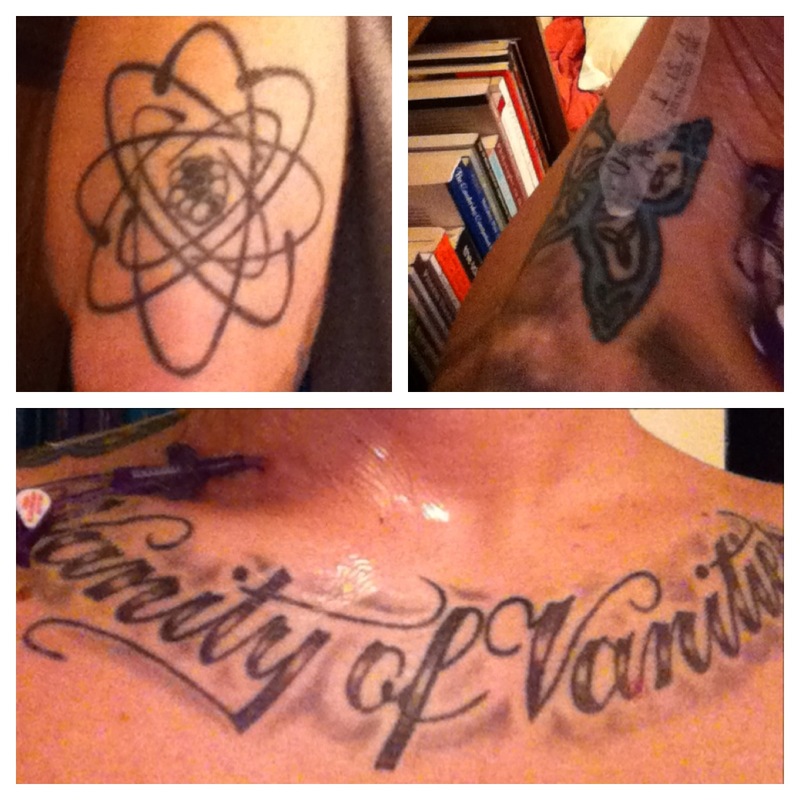 My chest piece is from Ecclesiastes, Vanity of Vanities. It’s a reflection of life in the absence of God. If there is no God then life is utterly absurd, there is no meaning, purpose, or value to anything. There is no hope. Even for the Christian, if one’s motives, focus, or ends are not for God and his glory then it is in vain. (Excuse the clear bandage and Hohn line, the IV line, in my neck; I took these photos during my surgical recovery). On my right shoulder, just below my neck, I have a celtic butterfly. This is in memory of my niece, Alyssa. 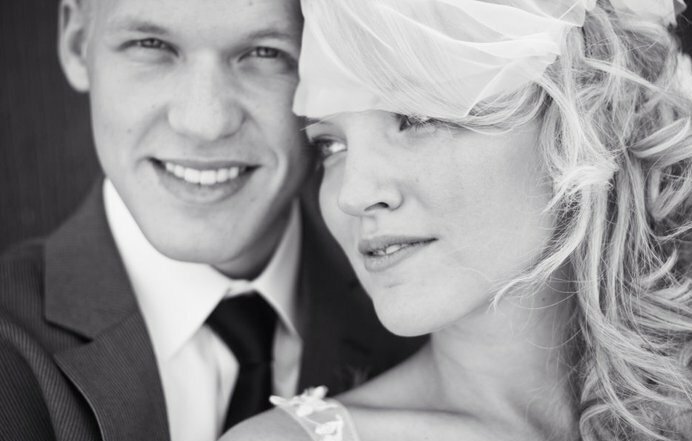 My brother was in Iraq and his pregnant wife, Jessica, died (for causes still unknown to us today). This tattoo is for my brother, Jessica, and Alyssa. There’s a lot of pain and suffering behind this tattoo. There are still wounds that must continue to heal and some that have yet to be healed. These wounds will eventually heal and bring a new perspective and new life to all of us. The thing is, these wounds may not heal until our new life at the resurrection in the afterlife. Tattoos are much more than cultural fads or aesthetic complements (at least to me). 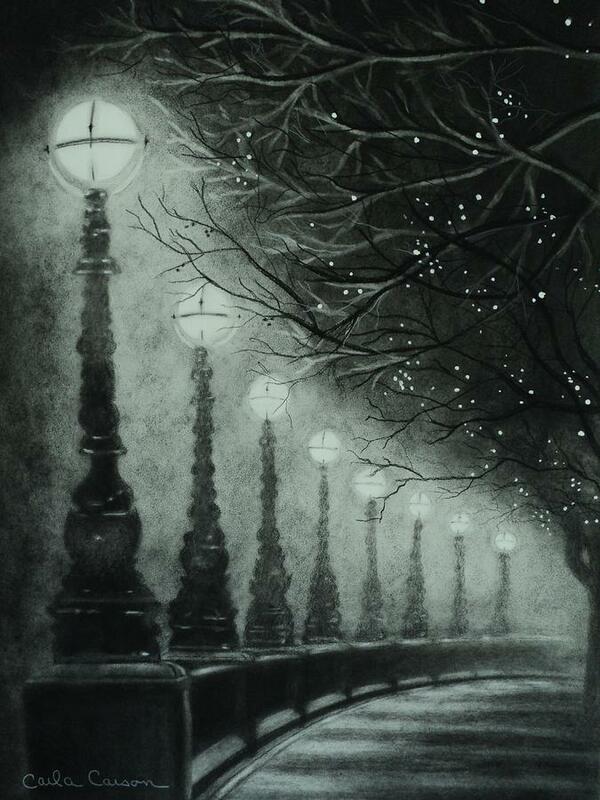 Mine tells stories and are life expressions that can be told without words. As you can see, I have a lot of meaning and existential expression behind my tattoos. It becomes an integrated part of who I am. Some have deep meaning and my most recent one has meaning, but it is more fun than serious. Tattoos aren’t for everyone. However, those who do have tattoos need to understand that people are going to judge you know matter what your personal philosophy behind tattoos is. It just comes with the ink, you’ll just have to get thick skin and get over it (Get it? It’s a tattoo joke… Ha… Anyways…). It’s not wrong to get tattoos and it’s not unbiblical. Here’s and exegesis of the Levitical mention of tattoos. You’ll be quite surprised as to what tattoos and the intent of the passage really is. It’s amazing. I would encourage those who do not have tattoos to not be judgmental of those who do (or for those who have any alternative means of self-expression such as piercings, hair styles, or clothing styles that are less mainstream. Also, consider a means of expression whether it be artistic, vocal, or alternative. For those who do have tattoos, consider and reflect on your philosophy of tattoos. What do they mean to you? Why did you get them or why do you want more? For those who do not have tattoos but one or some, I ask the same questions. Why do you want them? What meaning will it have? Tattoos don’t have to have deep meaning, they can be fun and goofy too. In the end, it’s a personal expression and you give it its value. I would recommend giving it a lot of value because this value will last forever. Given the natural order of universe and its cause and effect network, perhaps redemption and reconciliation from absurdity can be found in biology or physics. For example, consider an adult salmon’s biologically given capacity to swim upstream and mate. In this case the end at which the adult salmon’s activity aims is not, or anyway need not be, valuable, it is simply the end with which it was endowed by nature. The same may be true with human life. The notion may not be too far-gone since many philosophers and scientists find their meaning, value, and purpose in nature. Friedrich Nietzsche based his teleology and understanding of truth in biology. If this universe [or multiverse] is all that exists it seems that this scientific driven teleology may not be sufficient. Nobel prize winning physicist Steven Weinberg provided a self-comforting dialogue in The First Three Minutes suggesting that his own research in the field of physics has provided himself with meaning, value, and purpose. Paradoxically, he believes that the more he learns about the universe, the lesser of an ultimate meaning it has. Physicist Victor Stenger seems to agree with Weinberg’s understanding of the purpose as it relates to reality. In his book, God the Failed Hypothesis, he displays a rather existential reflection when he ponders the universe and reality. He believes that if God created matter with humanity in mind, then it was not done so for a purpose. The universe is so vast and hostile to life and the parameters for existence of humanity are incredibly slim. Earth is a rarity. This notion of absurdity is not as introspective as the philosophers may see it; rather, it is an inference based on his observation on the physical realm. What is similar between the philosopher’s inference and Stenger’s is that they encounter a breakdown of rationality, Camus’ alienation and disappearance of reason. Like Camus, he becomes aware of the sheer absurdity of his existence. In contrast to Weinberg and Stenger, it should be understood that because the universe is meaningful could any meaning or rationality be derived thereof. The glory of mathematics and human art manifests a genius. Just as Albert Einstein pondered the striking fact that the universe is comprehensible, that mathematics illuminates nature by mapping forms of order as small as particles and strings and as broad as universe [or multiverse] itself. On secularized grounds, why should nature make sense? Why should there be any connection whatsoever between the highly abstract, formal relationships of numbers and figures and the order of nature? Why is nature amenable to mathematical analysis? By all human experience, it would be irrational to infer that, in a continual state of becoming, there is no meaning behind the order observed in nature. It would serve well for one to be reminded that humanity did not construct the order behind the abstract and the physical. The order of the universe is prior to and independent of man’s attempts to understand it. That is why theories must be tested against nature. Man is not the creator of order, but at best, discerners of order—not only for humanity’s own existence but also for the perfection of understanding. Michael Smith, “Is That All There Is?” Journal of Ethics 10 (January 2006): 83. Steven Weinberg, The First Three Minutes (London: Andre Deutsch, 1977), 154-155. Victor Stenger, God the Failed Hypothesis (Amherst, NY: Prometheus, 2008), 137-164. Benjamin Wiker and Jonathan Witt, A Meaningful World (Downers Grove, IL: InterVarsity Press, 2006), 27. Absurdity is an understanding or a concept in which the individual is superfluous. This superfluity of being is due to having no allotted place in any necessary scheme of things. Some people invent teleologies in an attempt to lend things a place in overarching schemes but it is an illusion. According to Albert Camus, man has a longing for reason. In this world people have understood that there is “irrationality” to reality thus a “despair of true knowledge.” There still remains a longing for reason despite the recognition of absurdity. From this, absurdity is born. Camus recognized that man needs to understand this despair and come to terms with it. His teleology was simply to live life together with others and love one another. Absurdity is the denial of teleology. It is a result of alienation. If there is a connection or intimacy within the self, a lack of angst, it is difficult for absurdity to follow. The same is true for an alienation between others and God. Teleology is the only savior to absurdity. The problem at hand is identifying what can provide such teleology, and if that provision is made, does it actually work? Is it a binding teleology? Every man lives his life as if he really matters. The every day circumstances he finds himself in gives himself an epistemic awareness that what he does in those circumstances has meaning. The situations he is presented with allows him to set goals. In setting goals he produces an incentive to that purposeful goal, he lives and functions knowing that the means and the ends are just as important. Man will live as though he genuinely values certain attributes like justice, love, and brotherhood. Absurdity ought to be understood in a dichotomous concept: subjective and objective absurdity. Subjective absurdity is when something appears to be absurd or pointless when it is in some way irrational or incongruous. The basic cases of absurdity are activities and attitudes, and that the absurdity of a life is built up out of the absurdity of the various activities and attitudes of the individual whose life it is. This is often an epistemic problem rather than a metaphysical problem. The epistemic problem is how one obtains the knowledge of the teleology and how one responds in accordance to that knowledge obtained. A metaphysical problem with absurdism will manifest itself as an objective absurdity. In a state of life-affirming becoming (will be discussed later) those things, which are acted out, as a result of man’s alienation, are absurdly trivial activities. Even as an aggregate of activities the agent cannot reduce the disproportion of their means. They are inherently burdensome activities with no vindicating purpose. They are absurdly futile activities when it would be plainly evident to an [outside] observer that they are hopelessly inefficacious. Objective absurdity would apply to the metanarrative of the individual. This would be applicable to the overall orchestration of every state of affairs. Not only does this encompass subjective absurdity but it obtains in every state of affairs regardless of whether or not it is epistemically warranted. When one attempts to construct his own teleology to relieve himself of this alienation from others he tends to do so by relying on others. He will attempt to create a goal or value from other people’s goals or values. The attempt to follow suit with this teleology is not necessarily bad since there can be good that follows from this. This reach for teleology usually looks like good actions or deeds. This would include giving one’s time or resources to another person, volunteering, providing for a family, and succeeding in a career. Is there any serious warrant to the secularist’s teleological construct? Can a world without God still provide meaning, value, and purpose? Kai Nielsen claims that questions of value cannot be constituted by their being commanded or ordained by God. Certain [teleological] values would remain just as intact in a godless world as in a world with God. The question is, must teleology ontologically depend of God? If objective teleology can obtain in a possible world in which God does not exist it would have to be true that a sense of meaning, value, and purpose, according to Nielsen, is a necessary truth (it is necessary that teleology is intuitively sensed). These two necessary truths (God exists and teleology obtains) can obtain independent of each other in as long as they are both necessary. The same would be true if God were contingent since teleology is still necessary; thus, relinquishing a foundation for teleology because of its independent necessary existence. For the proposition, “If God does not exist, then teleology obtains” (~Eg ⊃ Ot) the consequent is necessarily true, by supposition, which, according to the standard semantic of counterfactuals, has the same effect as a necessarily false antecedent, namely, that the conditional is trivially true. However, consider the proposition “If an Anselmian God does not exist, then teleological facts obtain” (~Ea ⊃ Ot). If the use of standard semantics apply, and the consequent is necessarily true, then to render ~Ea as true would be highly problematic. The Anselmian notion of God bases all reality in his existence. To affirm ~Ea, or simply but, to affirm the nonexistence of all reality, and to consequently affirm that teleological facts obtain would be metaphysically incoherent or even a contradiction. Metaphysically and logically, the only things that cannot obtain are contradictions. Thus, ~Ea ⊃ Ot is nontrivially false. For the secularist to suggest Ot obtains would be equivocation (of any other necessary truth) and misunderstanding the metaphysical and ontological connection between an Anselmian God and necessary truths (like that of teleological truths). A world in which ~Ea ⊃ Ot is true would be a nonsensical world. Thus, Nielsen’s attempt to suggest that values (teleology) can obtain in a world in which [an Anselmian] God does not exist is incoherent. The one who attempts to be the architect of his own teleology is merely adhering to an illusion of meaning, value, and purpose in his life. For this agent, he ultimately cares about his career, family, friends, and others because it enables him to have a certain quality of life, which thereby ensures that he can spend quality time with these people (or at least he seems to ultimately care). It seems that this response to alienation from others is only instrumentally valued by the agent to derive some type of meaning. This agent may believe that he is valuing brotherhood with his friends, charity in giving of his time and goods, and love with his family, but he cannot construct the meaning behind these concepts nor can he apply meaning to an aggregate of other alienated persons. He may think that he has incentive or motivation to act on these values, but its meaning, value, and purpose is self-referential. When he attempts to apply meaning, value, and purpose to anything he applies only as he has arbitrarily defined it as being. It would not matter whether the aggregate of alienated persons thought the same or whether he was the only individual who thought of meaning, value and purpose as such, it would still be arbitrary. Man seeks a concrete underpinning of the most fundamental values that make up life. If these values are indeed just arbitrary, and hence not really valuable at all, then one’s life is rendered devoid of the meaning that is ascribed to it in virtue of it exhibiting such [apparently genuine] values. If this is the case it follows that no value exists and absurdity renders true. I would also like to recommend Clifford Williams’ new book Existential Reasons for Belief in God. I’m currently reading through this work and Williams approaches continental philosophy with an analytic approach in attempting to balance reason with emotional/existential need in faith. Please listen to Brian Auten (Apologetics315) interview Williams on the book. As understood and advocated by Jean Paul Sartre, Nausea, trans. Robert Baldick (New York: Penguin, 1986), 184. Albert Camus, The Myth of Sisyphus, trans. Justin O’Brien (New York: Penguin, 1986), 22. See Joel Feinberg, Freedom and Fulfillment: Philosophical Essays (Princeton: Princeton University Press, 1992), 299-315. Kai Nielsen, “On the Choice Between Secular Morality and Religious Morality.” University of Toronto Quarterly 53: 128. For more on the use of nonstandard semantics see David Baggett and Jerry L. Walls, Good God: The Theistic Foundations of Morality (New York: Oxford University Press, 2011). Contra. Duncan Pritchard, “Absurdity, Angst, and the Meaning of Life,” Monist 93 (January 2010): 8. I’ve been stuck in the Psalms all year. Every once in a while I travel to other passages sporadically throughout the Bible, but for the past seven months or so I cannot seem to find my way out of the Psalms. As I laid in bed last night I flipped through some old notes of mine and began to read and think. I woke up this morning and read a few psalms. Then I decided to read the imprecatory psalms. Now, I know this isn’t a term heard often but the imprecatory psalms are the psalms that make requests or desires known to God that are… well… evil. Here’s a few. I would encourage you to go to these passages and read them yourself. Understand the contexts in which these words and thoughts were expressed. Let’s not be too quick to say, “There’s no wrong in this!”, “This is the Word of God, these Psalms cannot be evil!” I’m not saying the psalms are evil, I’m saying that aspects of what are being expressed are evil. The psalmist, David for the most part, is desiring justice and vengeance. He wants them to have death be surprised upon them, for them to be buried alive, for their teeth to be knocked out, for them not to receive salvation, and for their children to die in the manner in which his people’s children have been murdered. I’m just guessing but if I had not set up these imprecatory psalms in a biblical context already you would think that they were pretty evil–no? So what do we do with these psalms? We recognize them for what they are–honest. God’s intention for these were not to be taken as these desires being pure and good. God’s response to these are, “Yes, that’s right. I’m glad that you see that’s evil.” Allow time to meditate and reflect on this. How often do you find yourself desiring such thoughts on others? Granted, you have not had the same experiences that inspired these desires, but you’ve probably had the same desires. Manifestations of our heart and will must not be identical in its originating context to be the same manifestations of emotion and feelings. Being in the world means that we must experience the tensions of life, not get rid of them. Jesus didn’t come to earth and push the Easy Button to atone for this absurdity. Jesus came to earth, lived and experienced the same temptations, tensions, problems, and absurdities that we face. We happen to fall short in our response to these tensions and absurdities. We respond as David does, though we are honest, we do not channel it properly. Imagine God responding, “Yes, I’m glad you know these are evil. What will you do now?” I think David collects himself after many of the psalms only for it to have it happen again. He relies on God. He’s obedient to God. Justice, salvation, blessings… all these rest with God. We want to chime in and tell God what to do and how to do it–and if it were the case that we got it our way, this is what it would look like. I’ve come to the realization that I’m not so different in heart and mind from the psalmist who has such evil desires. I need to learn to experience these tensions and problems properly. It’s hard to say, but I don’t want the quick fix antidotes. Experiencing these tensions, persevering through absurdity, and repeating the cycle again when we fail until it is all overcome by Jesus is the process we call sanctification. When you find yourself in a situation when your prayer simply comes out as, “AHH!” trust that the Holy Spirit knows exactly what you mean and what you need (Rom. 8.27). With this I will end with Romans 12.